Bluetooth, Back-Up Camera, Lane Departure Alert, Entune Audio Plus with Connected Navigation App. *Lease a new Corolla SE 2019Models 1864: $199 / for 36 Months months / with $2,999 DUE AT SIGNING. NOT ALL CUSTOMERS WILL QUALIFY. Amount due at signing includes FIRST MONTHLY PAYMENT of $199. Security deposit required with exception of prior Toyota Financial Services (TFS) financing history and/or TFS tier rating in which a security deposit may be waived. Tax, title, $150 dealer doc fee and license are extra. Based on 2019 Models 1864, TOTAL MSRP $21,865, including delivery, processing and handling, and NET CAPITALIZED COST of $19,684. LEASE END PURCHASE OPTION is $11,151.00 plus tax, title and license. Customer is responsible for disposition, excess wear and tear fees and $.15 per mile over 12000 miles each year. Dealer participation may affect final negotiated price and applicable taxes. Monthly payment may vary depending on final price of vehicle and your qualifications. Must take delivery from dealer stock. Offer valid 4/1/2019 through 4/30/19 in AR, LA, MS, OK, TX only. See dealer for vehicle and lease program details. ‡ 0.9% ANNUAL PERCENTAGE RATE (APR) FINANCING UP TO 60 MONTHS. 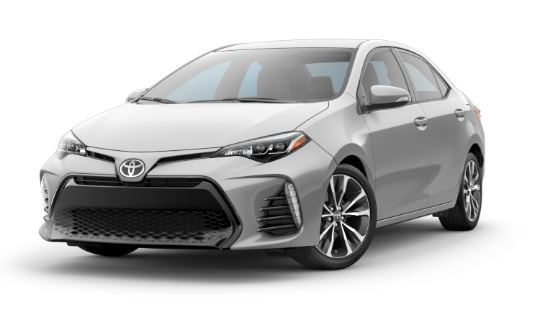 AVAILABLE TO QUALIFIED BUYERS WHO FINANCE A NEW 2019 COROLLA LE THROUGH TOYOTA FINANCIAL SERVICES. 60 MONTHLY PAYMENTS OF $17.05 FOR EACH $1,000 BORROWED. NOT ALL BUYERS WILL QUALIFY. VEHICLE MUST BE TAKEN FROM DEALER STOCK BY 4/30/19 AND IS SUBJECT TO AVAILABILITY. OFFER MAY NOT BE COMBINED WITH OTHER OFFERS UNLESS SPECIFIED OTHERWISE. DEALER FEES ARE EXTRA. OFFER VALID 4/1/2019 through 4/30/19 in AR, LA, MS, OK, TX only. CONTACT DEALER PARTICIPATING DEALER FOR DETAILS. 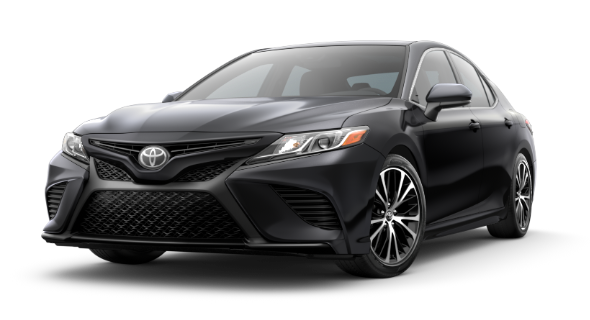 *Lease a new Camry SE 2019 Models 2546: $229 / for 36 Months months / with $2,999 DUE AT SIGNING. NOT ALL CUSTOMERS WILL QUALIFY. Amount due at signing FIRST MONTHLY PAYMENT of $239. Security deposit required with exception of prior Toyota Financial Services (TFS) financing history and/or TFS tier rating in which a security deposit may be waived. Tax, title, $150 dealer doc fee and license are extra. Based on 2019 Models 2546, TOTAL MSRP $26,790, including delivery, processing and handling, and NET CAPITALIZED COST of $23,429. LEASE END PURCHASE OPTION is $14,735 plus tax, title and license. Customer is responsible for disposition, excess wear and tear fees and $.15 per mile over 12,000 miles each year. Dealer participation may affect final negotiated price and applicable taxes. Monthly payment may vary depending on final price of vehicle and your qualifications. Must take delivery from dealer stock. Offer valid 4/1/2019 through 4/30/19 in AR, LA, MS, OK, TX only. See dealer for vehicle and lease program details. ‡ 1.9% ANNUAL PERCENTAGE RATE (APR) FINANCING UP TO 60 MONTHS. AVAILABLE TO QUALIFIED BUYERS WHO FINANCE A NEW 2019 CAMRY THROUGH TOYOTA FINANCIAL SERVICES. 60 MONTHLY PAYMENTS OF $158.36 FOR EACH $1,000 BORROWED. NOT ALL BUYERS WILL QUALIFY. VEHICLE MUST BE TAKEN FROM DEALER STOCK BY 04/30/2019 AND IS SUBJECT TO AVAILABILITY. OFFER MAY NOT BE COMBINED WITH OTHER OFFERS UNLESS SPECIFIED OTHERWISE. DEALER FEES ARE EXTRA. OFFER VALID 4/1/2019 through 4/30/19 in AR, LA, MS, OK, TX only. CONTACT DEALER PARTICIPATING DEALER FOR DETAILS. Must take delivery from dealer stock. Dealer sets final actual price. 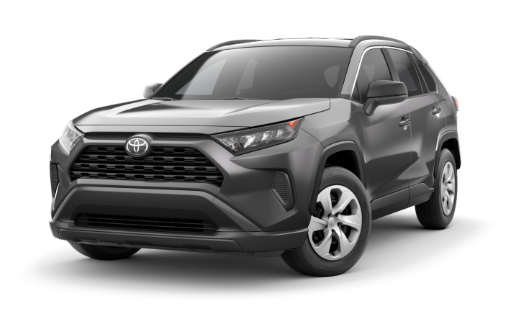 *Lease a new RAV4 LE 2019 Models 4430: $289 / for 36 Months months / with $2,999 DUE AT SIGNING. NOT ALL CUSTOMERS WILL QUALIFY. Amount due at signing includes FIRST MONTHLY PAYMENT of $289. Security deposit required with exception of prior Toyota Financial Services (TFS) financing history and/or TFS tier rating in which a security deposit may be waived. Tax, title, $150 dealer doc fee and license are extra. Based on 2019 Models 4430, TOTAL MSRP $26,860, including delivery, processing and handling, and NET CAPITALIZED COST of $24,559. LEASE END PURCHASE OPTION is $16,653 plus tax, title and license. Customer is responsible for disposition, excess wear and tear fees and $.15 per mile over 12,000 miles each year. Dealer participation may affect final negotiated price and applicable taxes. Monthly payment may vary depending on final price of vehicle and your qualifications. Must take delivery from dealer stock. Offer valid 4/1/2019 through 4/30/19 in AR, LA, MS, OK, TX only. See dealer for vehicle and lease program details. *Lease a new Highlander LE 2019 Models 6942: $299 / for 36 Months months / with $2,999 DUE AT SIGNING. NOT ALL CUSTOMERS WILL QUALIFY. Amount due at signing includes FIRST MONTHLY PAYMENT of $299. 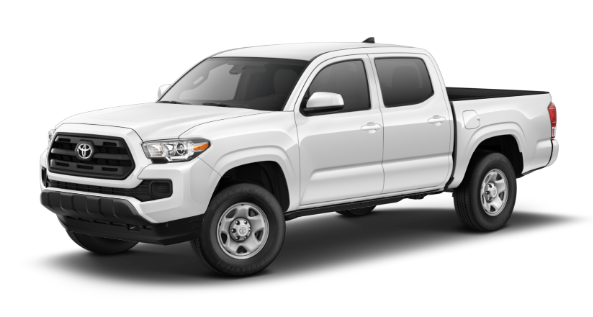 Security deposit required with exception of prior Toyota Financial Services (TFS) financing history and/or TFS tier rating in which a security deposit may be waived. Tax, title, $150 dealer doc fee and license are extra. Based on 2018 Models 6942, TOTAL MSRP $32,690 including delivery, processing and handling, and NET CAPITALIZED COST of $29,175. LEASE END PURCHASE OPTION is $20,922 plus tax, title and license. Customer is responsible for disposition, excess wear and tear fees and $.15 per mile over 12,000 miles each year. Dealer participation may affect final negotiated price and applicable taxes. Monthly payment may vary depending on final price of vehicle and your qualifications. Must take delivery from dealer stock. Offer valid 4/1/2019 through 4/30/19 in AR, LA, MS, OK, TX only. See dealer for vehicle and lease program details. ‡ 1.9% Annual Percentage Rates (APR) for 60 months. 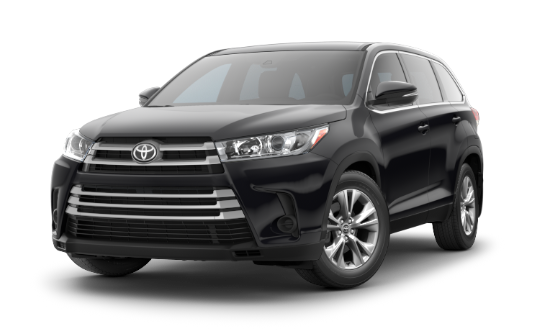 AVAILABLE TO QUALIFIED CUSTOMERS who finance a new 2019 Highlander LE 6942 through Toyota Financial Services. Higher rates apply for customers with lower credit ratings. Specific vehicles are subject to availability. APR may not be combined with any other Customer Cash or lease offers. Monthly payment for every $1,000 financed is $17.48. Must take retail delivery from dealer stock. Dealer sets final actual price. Offer valid 4/01/2019 through 4/30/19 in AR, LA, MS, OK, TX only. TFS on a new 2019 Highlander available to qualified customers. Must be applied to down payment. Must take delivery from dealer stock. Dealer sets final actual price. 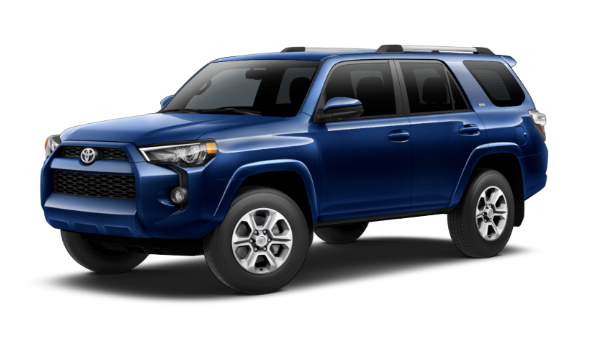 *Lease a new 4Runner SR5 2019 Models 8642: $389 / for 36 Months months / with $2,999 DUE AT SIGNING. NOT ALL CUSTOMERS WILL QUALIFY. Amount due at signing includes FIRST MONTHLY PAYMENT of $389. Security deposit required with exception of prior Toyota Financial Services (TFS) financing history and/or TFS tier rating in which a security deposit may be waived. Tax, title, $150 dealer doc fee and license are extra. Based on 2019 Models 8642, TOTAL MSRP $36,115, including delivery, processing and handling, and NET CAPITALIZED COST of $32,957. LEASE END PURCHASE OPTION is $24,197 plus tax, title and license. Customer is responsible for disposition, excess wear and tear fees and $.15 per mile over 12,000 miles each year. Dealer participation may affect final negotiated price and applicable taxes. Monthly payment may vary depending on final price of vehicle and your qualifications. Must take delivery from dealer stock. Offer valid 4/1/2019 through 4/30/19 in AR, LA, MS, OK, TX only. See dealer for vehicle and lease program details. 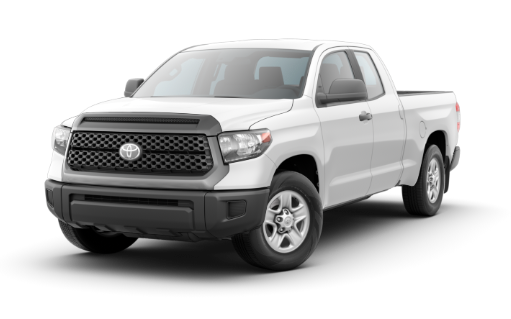 *Lease a new DBL Tundra SR 2019 Models 8239: $399 / for 36 Months months / with $2,999 DUE AT SIGNING. NOT ALL CUSTOMERS WILL QUALIFY. Amount due at signing includes FIRST MONTHLY PAYMENT of $399. Security deposit required with exception of prior Toyota Financial Services (TFS) financing history and/or TFS tier rating in which a security deposit may be waived. Tax, title, $150 dealer doc fee and license are extra. Based on 2019 Models 8239, TOTAL MSRP $37,910, including delivery, processing and handling, and NET CAPITALIZED COST of $34,659. LEASE END PURCHASE OPTION is $20,642 plus tax, title and license. Customer is responsible for disposition, excess wear and tear fees and $.15 per mile over 12,000 miles each year. Dealer participation may affect final negotiated price and applicable taxes. Monthly payment may vary depending on final price of vehicle and your qualifications. Must take delivery from dealer stock. Offer valid 4/1/2019 through 4/30/19 in AR, LA, MS, OK, TX only. See dealer for vehicle and lease program details. Even if you’re on a tight budget, you can drive home in a shiny, new Toyota thanks to the special offers available at Longo Toyota of Prosper. Whether you’re in the market for a Corolla or RAV4, you can count on our Finance Department to get you behind the wheel for the right price. Be sure to check back on our rotating Toyota lease deals and finance offers before you pay us a visit in Prosper to meet the car of your dreams. Feel free to contact us online if you’d like to learn more about our current Toyota deals.